It’s easy to get carried away while driving on the open road, but unfortunately, our ability to underestimate the fragility of our own bodies can often lead to car accidents. To remind us just how vulnerable we are, a trauma surgeon, artist, and crash investigator came together to create Graham: The only man in the world designed to survive a car accident. 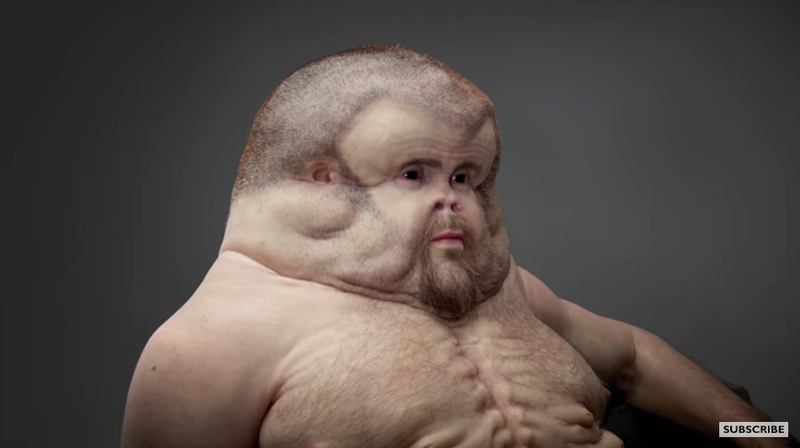 The interactive sculpture is the “brain child” of sculptor Patricia Piccinini, Royal Melbourne Hospital trauma surgeon Christian Kenfield, and David Logan, a crash investigator at Monash University's Accident Research Center, and is meant to represent how a human would need to look in order to survive a high-speed crash, The Guardian reported. And, if the interactive sculpture is hard for you to look at, it’s serving its purpose. Graham was designed to shock the public and show drivers and passengers alike just how fragile our own bodies truly are. And with around 1.25 million people dying each year in automobile accidents, it's time for us to be reminded of our mortality. In addition to an extremely large skull designed to protect Graham’s delicate brain from the intense forces in most car crashes, the mannequin also has thicker skin, padded ribs, and flexible spring-loaded legs. And, Graham also has no neck which means, of course, he can’t break it. Click here to get a better 3D view of Graham in all his spectacular horror.